Earlier this week I shared some really great furniture built by Letranger Absurde (vitreolum). Some of that furniture has now been moved to its proper home in this new diorama. To Kill a King is a brilliant build. The tile work on the floor of this 32x32 stud plate is a great combination of traditional and SNOT (studs not on top) building. 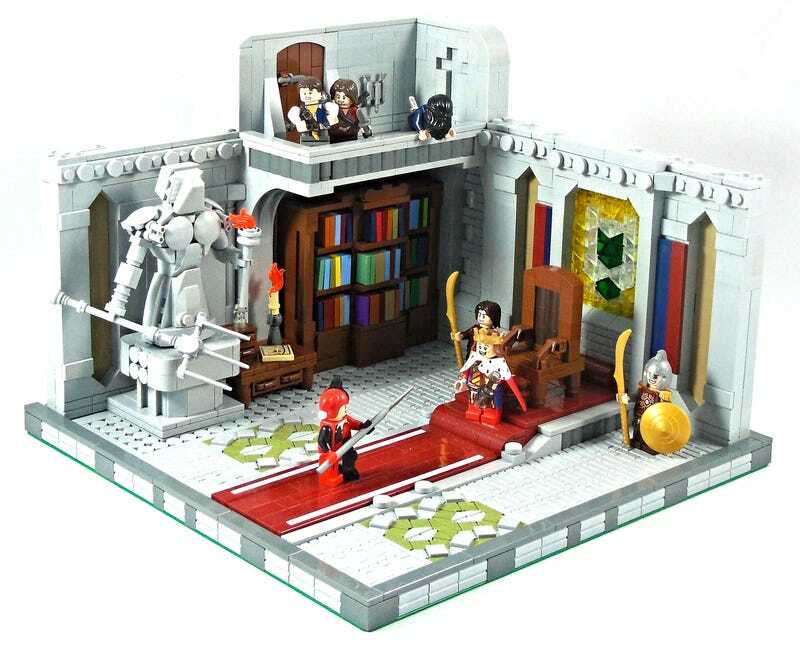 I really enjoy the use of the knives on the upstairs door to represent the hinges and the great detail on the stained glass window behind the throne, made from translucent cheese wedge pieces. The impressiveness of the bookcase and table with drawers are almost lost in the background to the rest of this great build.